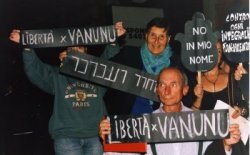 "Mordechai Vanunu is not a traitor, he is an Israeli hero. 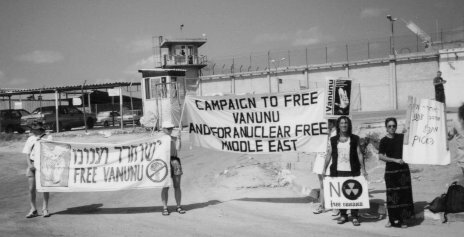 The nuclear bomb does not protect Israel, it endangers Israel." 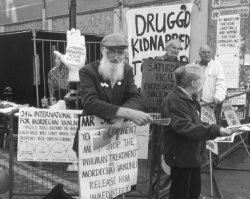 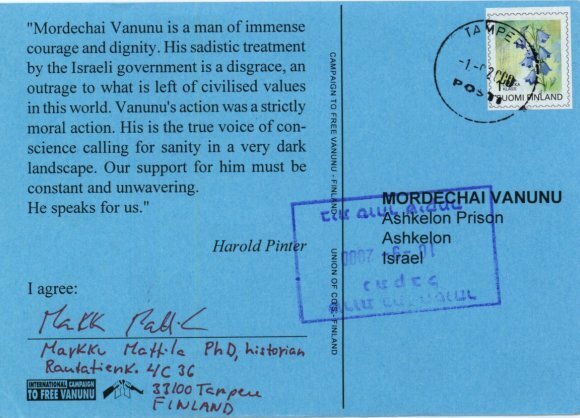 "Shame on the International Community for Its Silence On Mordechai Vanunu's Silencing and Imprisonment Within Israel"
Let Mordechai Vanunu Go Free! 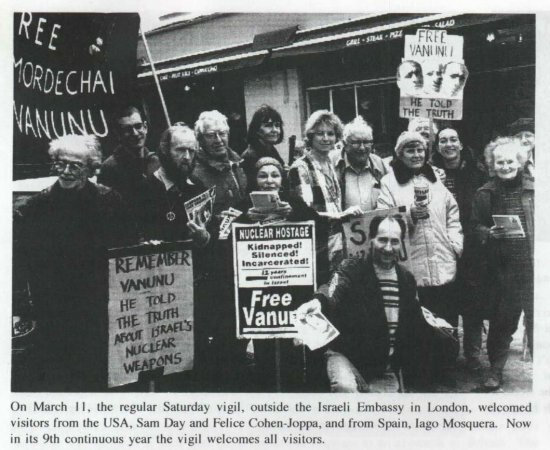 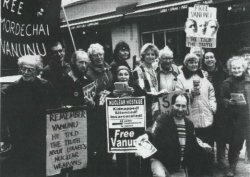 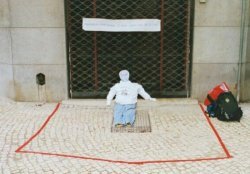 More photos of Vanunu supporters may be found in this gallery.